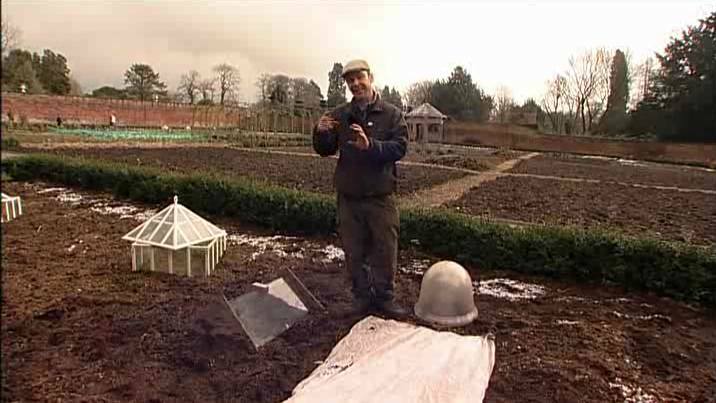 In this video on soil warming presented by Simon Tetlow, deputy head gardener at the famous Tatton Park Gardens, he shows various ways of warming the soil so that you can get ahead of the season. 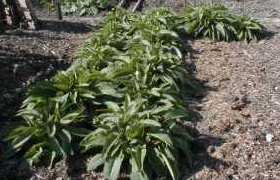 As a general rule, most plants don’t do much when the temperature of the soil is below 8 degrees Celsius so warming the soil has real benefits. You can basically move the season ahead by a month. Sow in March but provide April conditions. 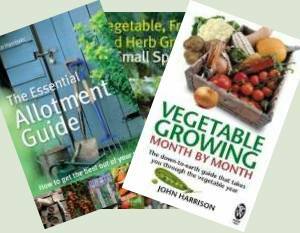 Apart from creating a hotbed, there are different methods of warming the soil to get early crops. One method that Simon doesn’t cover is laying down black plastic and I agree. It’s ugly, not eco-friendly and often ends up blowing around and being a nuisance to others. In the allotment shop we’ve got a good range of Cold Frames, Cloches and Rhubarb Forcers along with fleece etc.